European Commission released report on the fulfilment of the EU criteria. The European Commission on 20 December issued a report on the compliance of countries with which the EU has a visa-free regime. In the report, Ukraine is recognized as the country that complies with these criteria, but recommended taking steps to improve the situation. Should Ukraine did comply with the criteria the EU could use the mechanism of suspension of the visa-free travel accord. The European Union recommends Ukraine to enhance cooperation with EU to address irregular migration risks; step up public awareness campaign on the obligations and rights of entailed in visa-free travel; ensure the independence and effectiveness of anti-corruption agencies, in particular by setting an anti-corruption court; take urgent measures to restore the authority of the National Agency for the Prevention of Corruption and create an effective system for the verification of electronic declarations; cancel electronic declaration for anti-corruption organizations; step up efforts to combat organized crime. Over the past six months, 355 thousand Ukrainians have used visa-free travel with the EU. Starting from 11 June, 2017, the citizens of Ukraine can enter on the biometric passports 26 EU member states, with the exception of Great Britain and Ireland (Austria, Belgium, Bulgaria, Hungary, Germany, Greece, Denmark, Spain, Italy, Cyprus, Latvia, Lithuania, Luxembourg , Malta, Netherlands, Poland, Portugal, Romania, Slovakia, Slovenia, Finland, France, Croatia, Czech Republic, Sweden and Estonia). Ukrainian can use biometric passport to visit four more countries that are members of the Schengen area, but not in the European Union: Switzerland, Norway, Iceland and Liechtenstein. 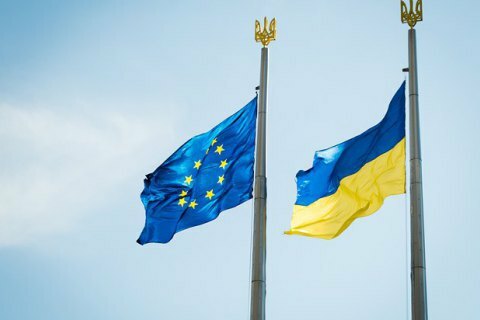 Visa-free travel allows Ukrainian citizens to stay in the territory of the EU countries within 90 days during a 180-day period. At the same time, visa-free travel does not give the right to work and have permanent residence in the EU.